I thought that was going to be an easy thing to achieve but there are a surprising number of complications that arise. First of all I attempted to configure an SSID on BAG1 called MESH and then set BAG2 to connect to it using its WiFI as WAN. This did work but I quickly realised that things were going to get messy if BAG1’s wifi WAN was also looking for the same SSID. The end result was that the HD2’s could route traffic through each other, so when a BAG was out of range of the infrastructure WiFi networks but in range of another bag that was still connected they could piggy back that bags connectivity and still access the internet and send traffic back to the base station. One of the most powerful parts of the demo was when we showed the customer InControl 2’s capabilities to monitor and track the bags as they roamed across the course. This proved that we had maintained connectivity throughout the test period. 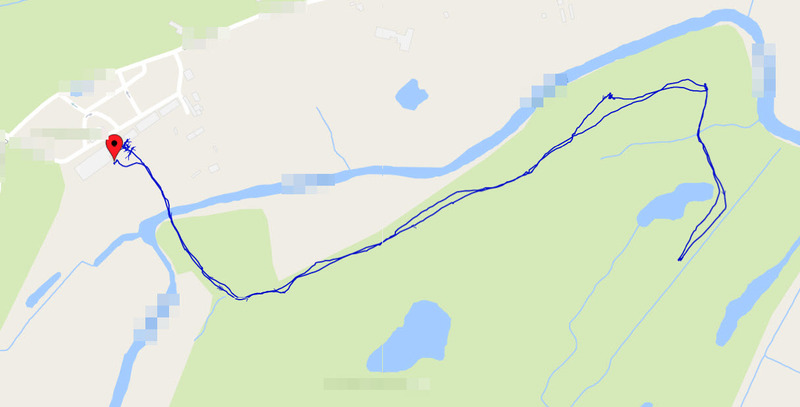 Below is the GPS track for BAG 2.